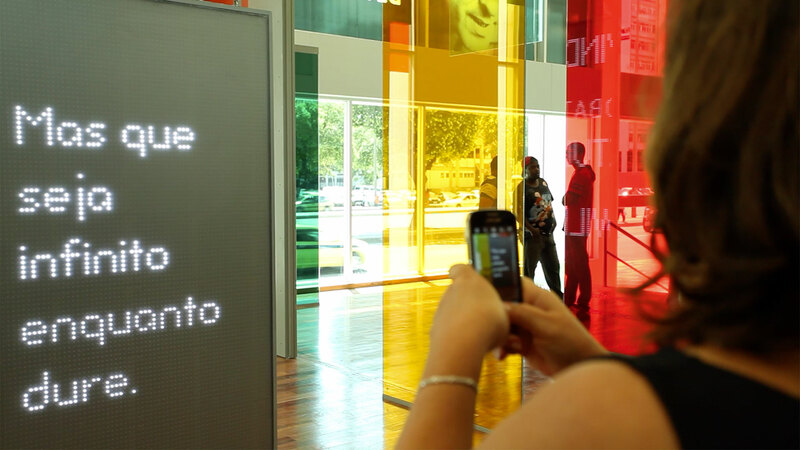 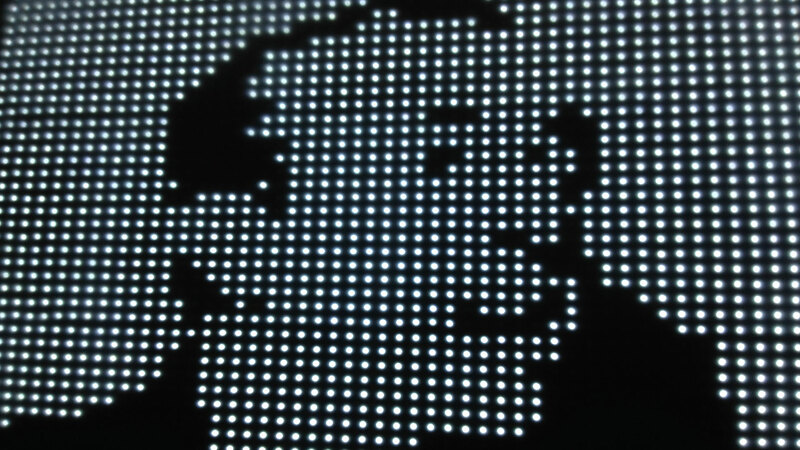 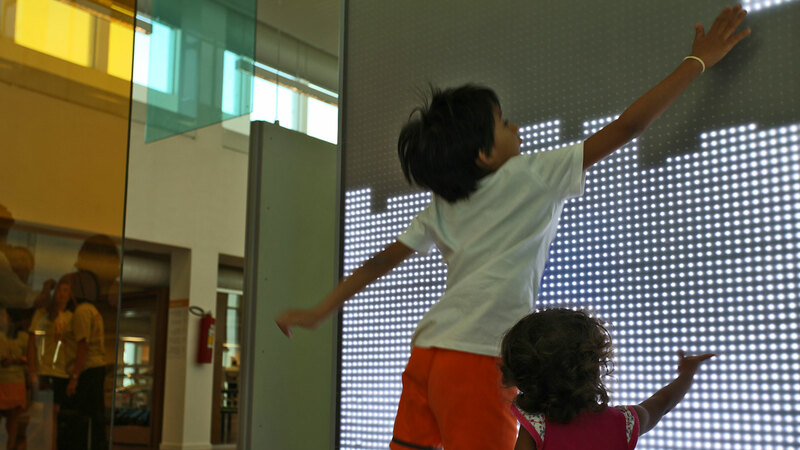 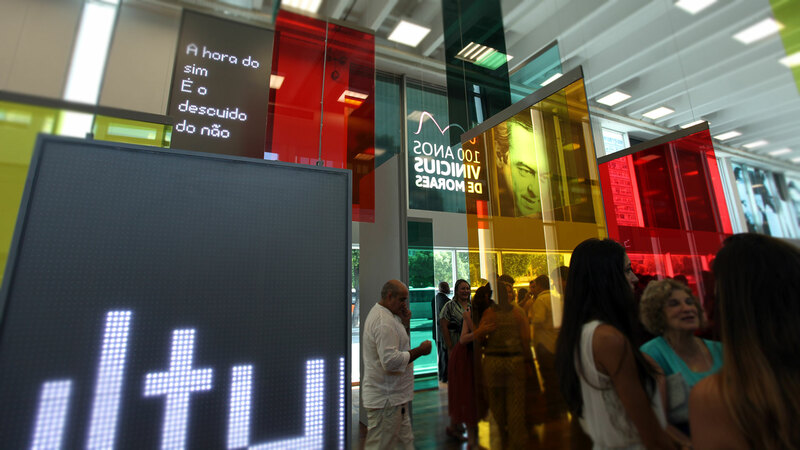 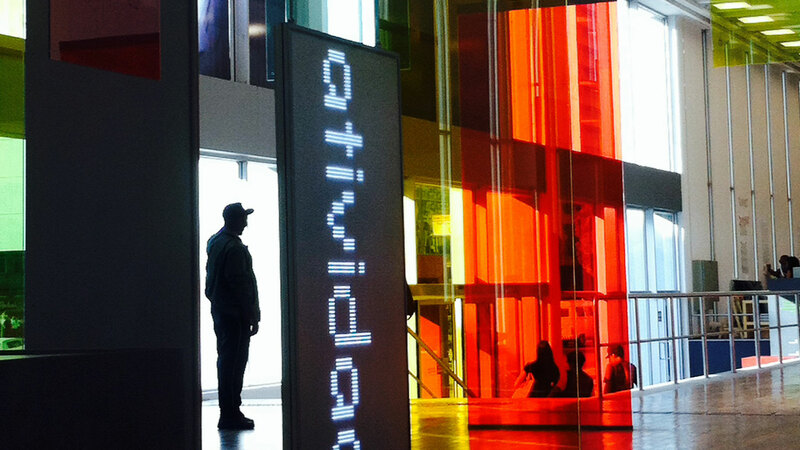 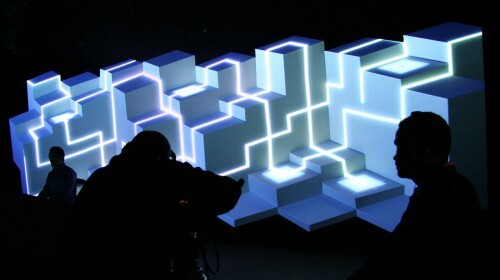 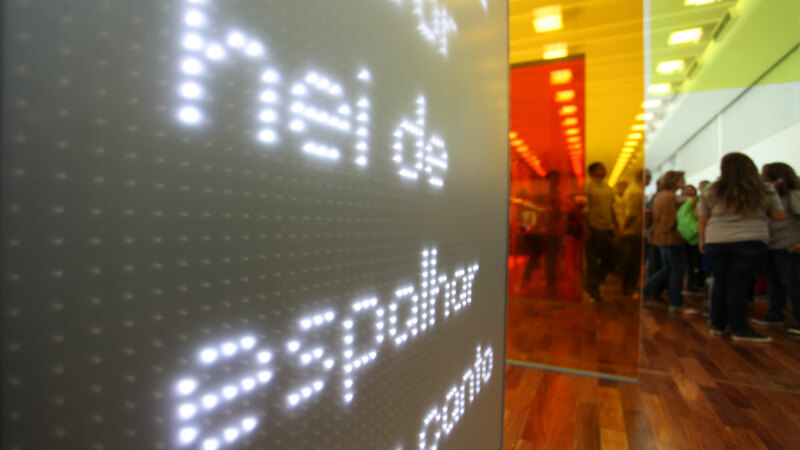 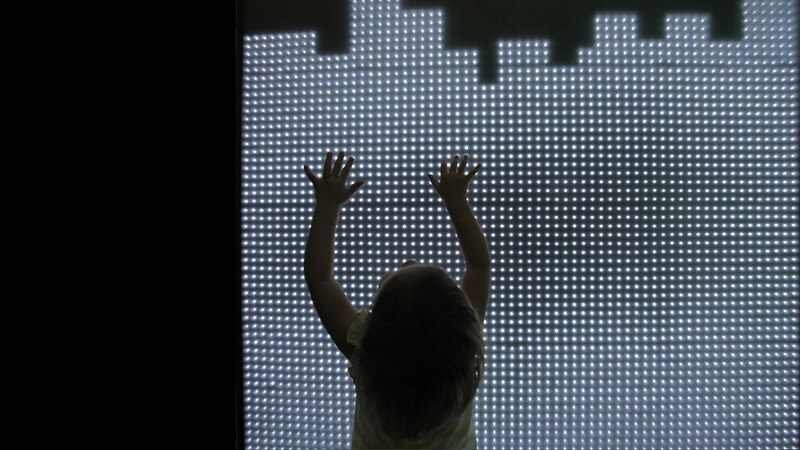 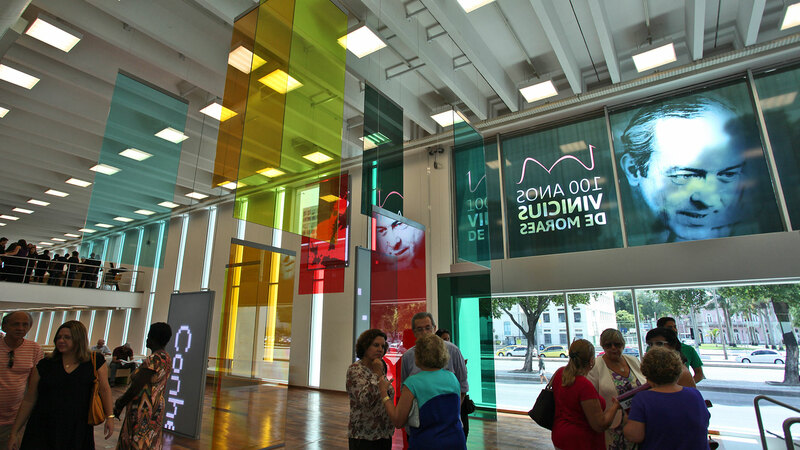 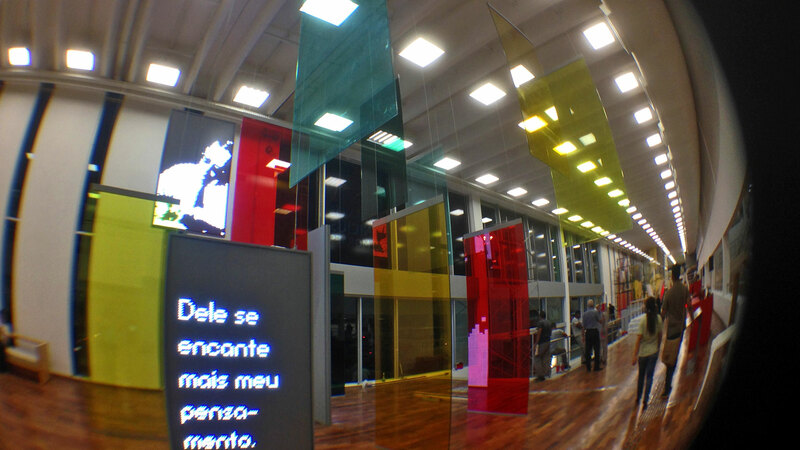 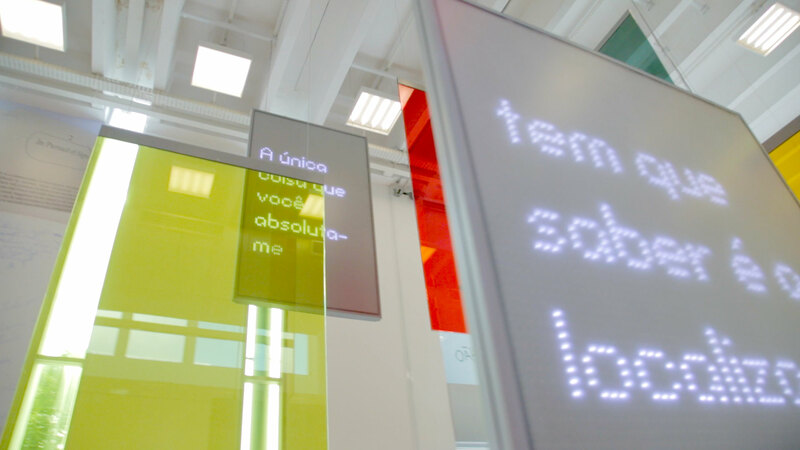 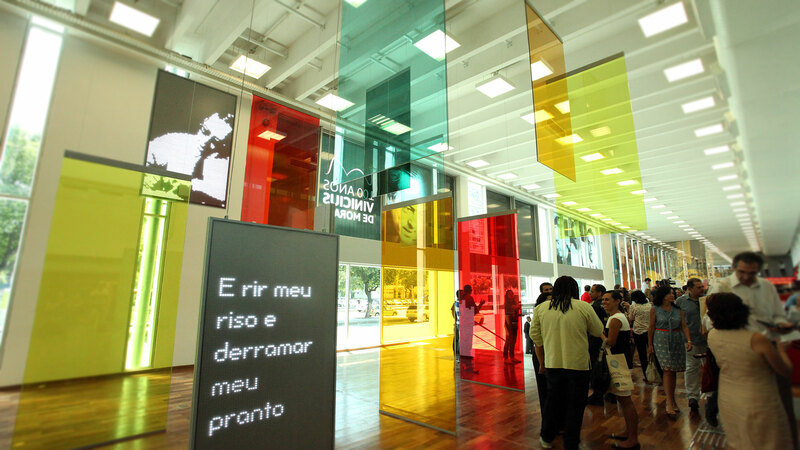 Penetráveis: at the Library’s entrance, the mixed media installation “Penetráveis” is a spatial composition of pixels and colors, made of digital panels with text and colored glass panels that act as color filters, according to the visitor’s point of view. 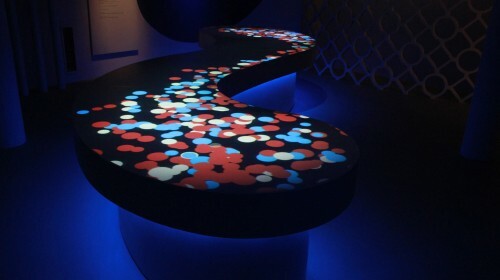 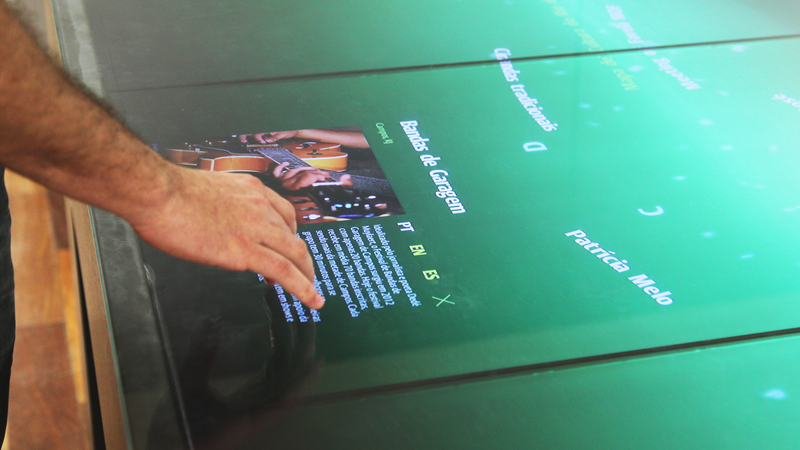 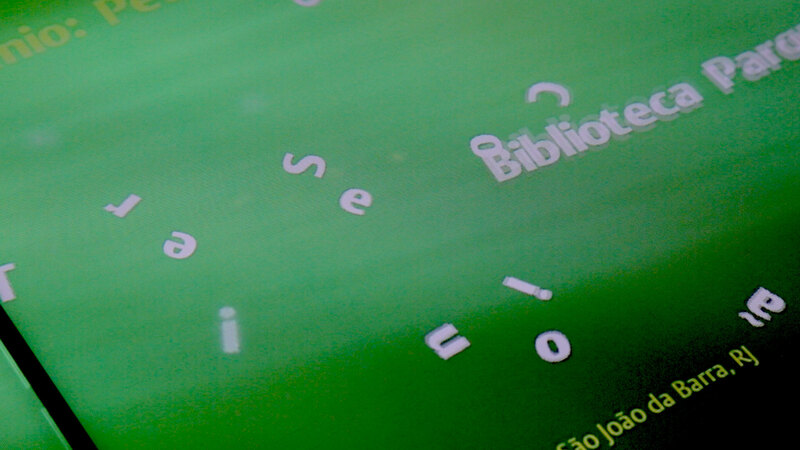 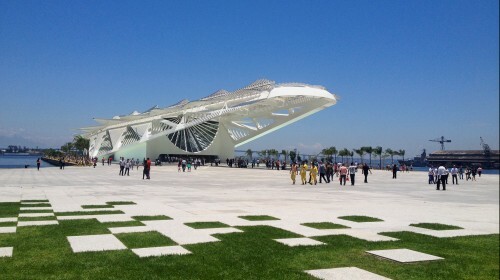 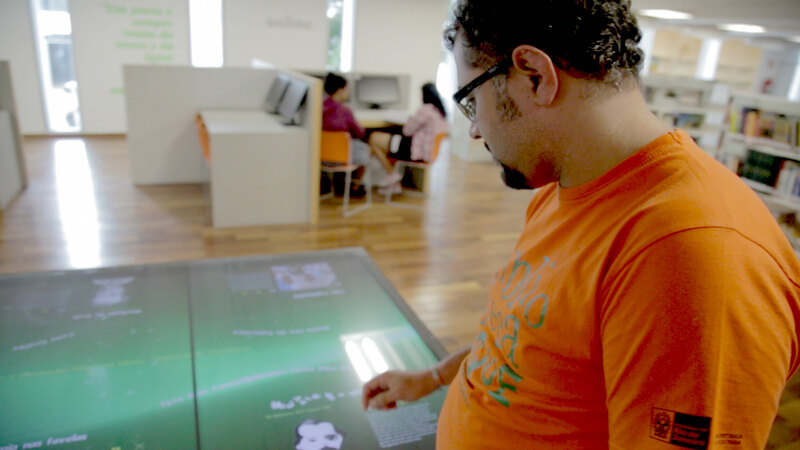 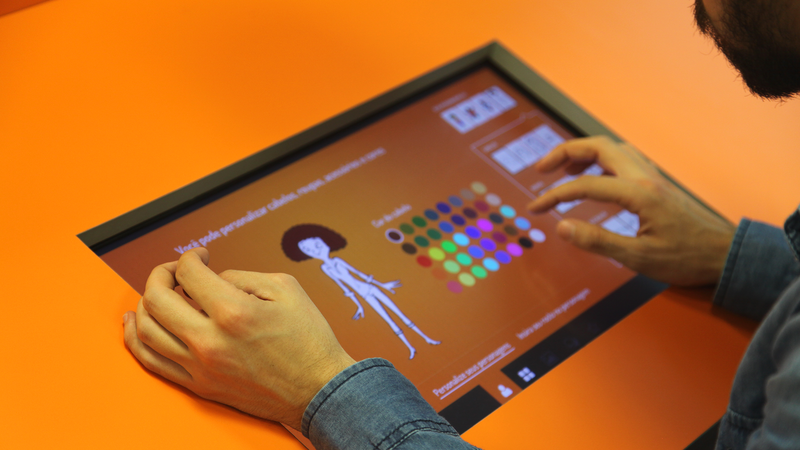 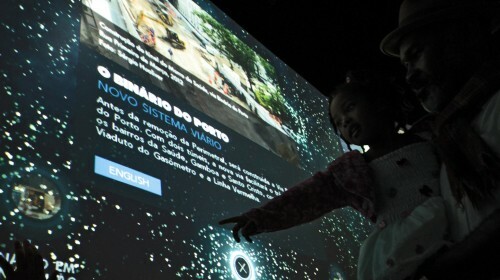 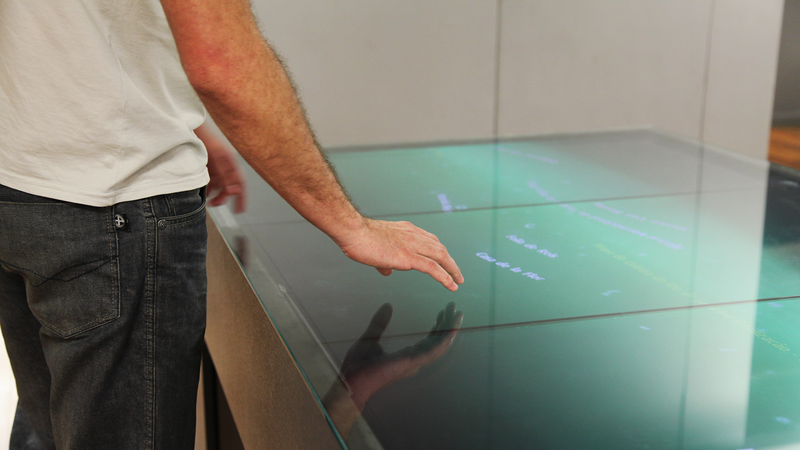 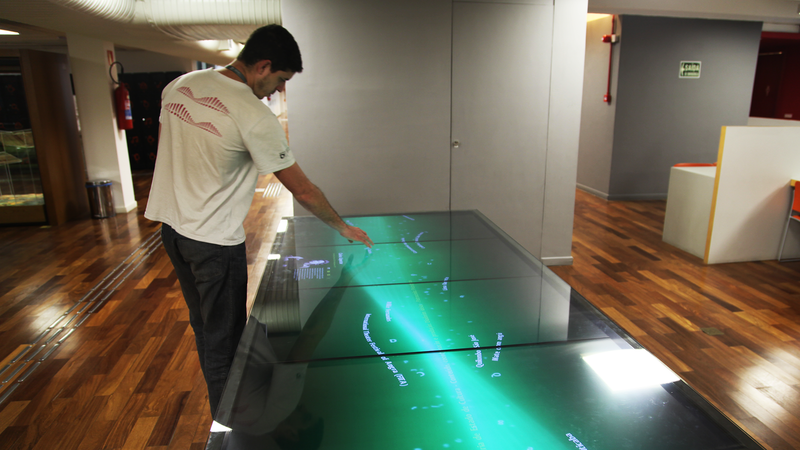 Rio de Palavras: an interactive river of information and culture. 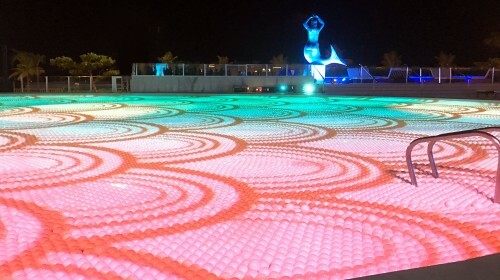 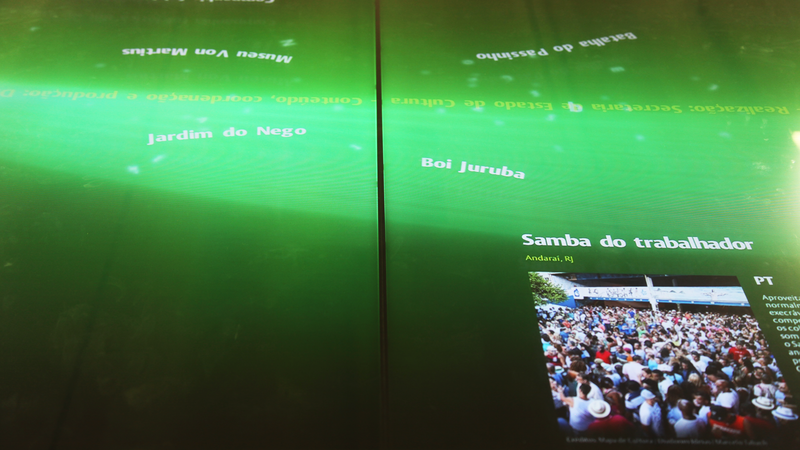 The titles “pass” as a river, and the visitor can “catch” each one that then opens to reveal content about authors who have Rio as their home and inspiration, as well as cultural projects such as the Jongo ritual from Barra do Piraí and the Madureira Charme Ball. 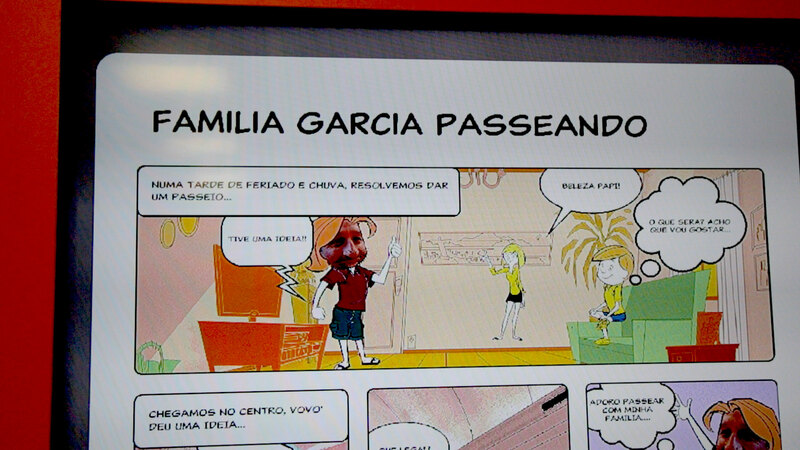 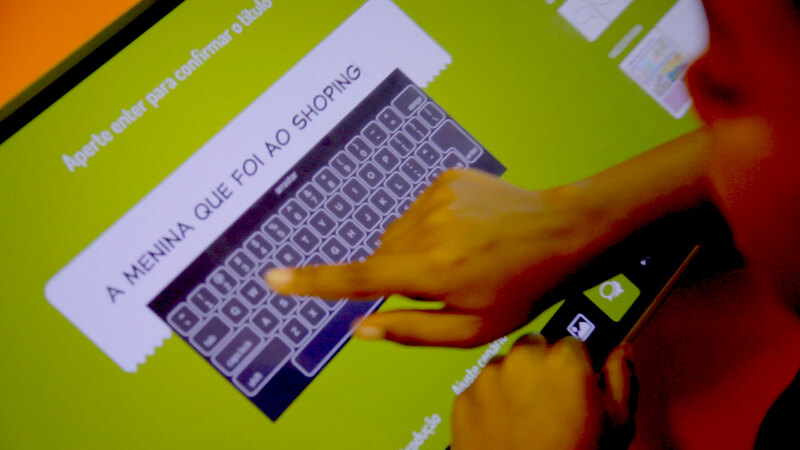 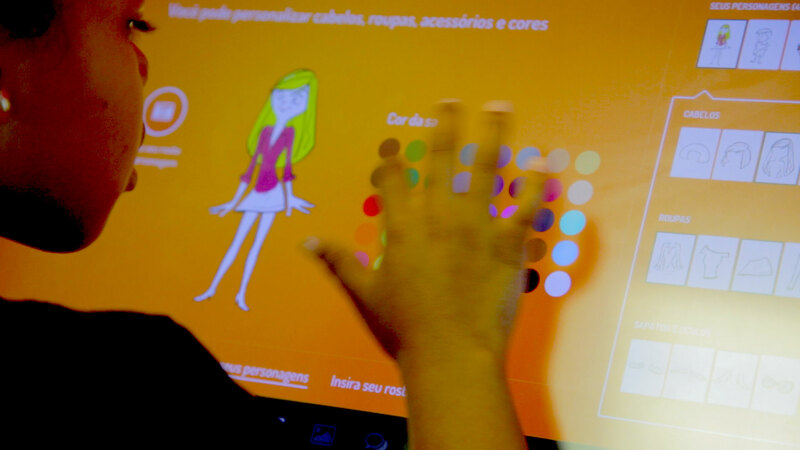 Create Comics: visitors create their own comics using an interactive screen, manipulating all elements of the story: background scenes that include indoor spaces and Rio’s landscapes, dialogues and characters. 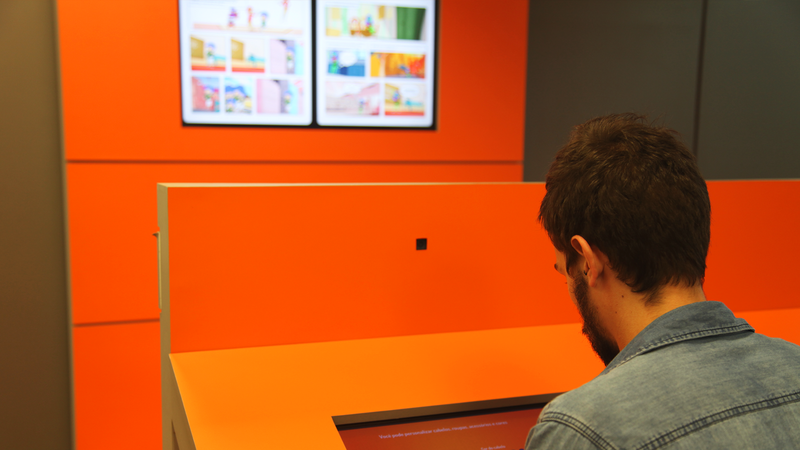 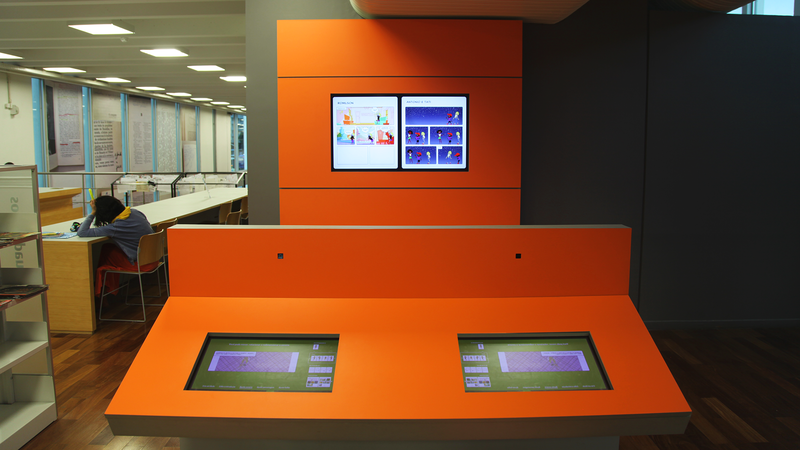 You can customize characters with different clothes, hair and accessories, and use the friendly Cotia – the Library’s mascot – created by cartoonist Claudius Ceccon. 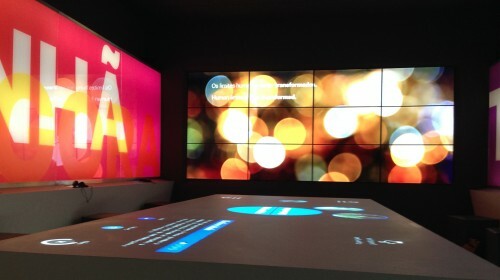 The result is displayed on the big screen and can be shared on Facebook.